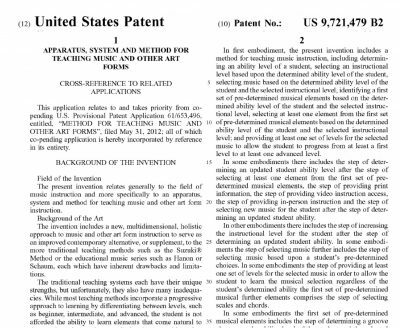 IROCKU receives a US Patent for its multi-dimensional approach to teaching music; providing a system for students to progress across multiple levels within the same song while holistically learning scales, techniques, groove, rhythm, theory, improvisation and melody all within the same lesson. The patent process amounted to a knock-down-drag-out battle with the hard working and well-intentioned folks at the patent office because the examiners assigned to the case were all classically trained and couldn’t fathom that people could learn music without reading notes. 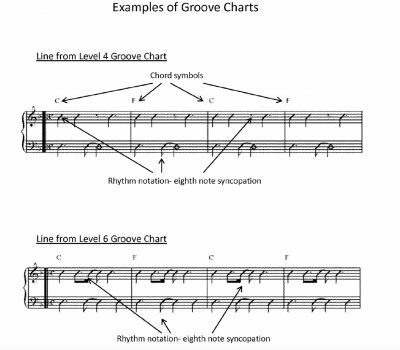 Our Groove charts, which provide rhythm and chord progressions without the need to read notes on the musical staff was a foreign concept to them. We had to explain that many of the greatest musicians in rock history don’t read music- they learn rhythms and chord progressions and take it from there. In the end, rock ‘n roll prevailed!! !